Wireless Charging (also know as Cordless charging or Inductive Charging) is a technology that has been known for a couple of years now but only started gaining momentum about 5 years back. The term has been used sparingly to describe the charging of devices (particularly gadgets and electronics) over a very short distance without the use of wires or charging cables. According to Wikipedia, the idea for Inductive Charging (read: wireless charging) began as far back as 1864 by James C. Maxwell before being successfully commercialized by the Massachusetts Institute of Technology (MIT) following series of research and development. Now, wireless charging has applications across many low-power electronic devices like smartphones, handheld devices, some type of computers, and other high-power electrical products like wireless cars. The process of charging is achieved through the transfer of energy/power produced by passing electrical current through two coils to create an electromagnetic field. The created electromagnetic field comes in contact with the magnetic plate on the receiver generates an electrical current which is then converted to direct current (DC) and in turn charges the receiving device’s battery through inductive coupling. Many flagship smartphones being released over the years by top original equipment manufacturers (OEMs) have the wireless technology built-in but older devices might require a special case or adapter to be attached to them to charge wirelessly through inductive charging. For example, the latest iPhones (starting from the iPhone 8 to the latest 2018 iPhone models) have the wireless charging technology built-in but older iPhones (iPhone 7, iPhone 6 etc.) do not support the technology out-of-the-box but have special cases that allow them to be charged wirelessly. There are many advantages that come with wireless charging technology. One of the most important (if not the biggest) upside to the wireless charging is convenience, particularly when charging more than one device. Wireless Charging saves users the stress and hassle of having to plug and unplug a cable each time you have to charge your device. Also, the availability of broad-faced charging pads allows multiple devices to be charged simultaneously, eliminating the need for multiple charging cables. Unlike wired charging where the cables and sockets undergo wear and tear over time, wireless charging pads lasts relatively longer as there is no need for plugging and unplugging. Wireless Charging (pads) also reduces the risks of short circuits and other forms of electrical faults. For devices that charge up by cords, users no better than to plug their phones into an unknown cable as they could contain hidden malware. The case is, however, the opposite for devices with wireless charging technology built-in — safe with zero malware worries. In addition, you can use any charging pad —irrespective of the manufacturer— without having to worry about damaging your devices’ battery. For powering low-power devices like smartphones and other electronics, charging efficiency is relatively low compared to wired charging. In fact, efficiency and speed is relative to the charging pad design and device placement on the pad. Although the technology is being worked on and developed round the clock, it isn’t yet up to the level of wired charging in terms of speed and efficiency. However, for electric cars and other high-power devices, efficiency of charging wirelessly is top-notch. Take smartphones for example, dropping your Samsung Galaxy Note9 means the activities you can effectively carry out on your device while charging include playing music and maybe, reply a text message. You can pick a call too (but with loudspeaker on) and read your emails. But how inconvenient that would be — compared to charging with a wired charger that gives you more control over your device. 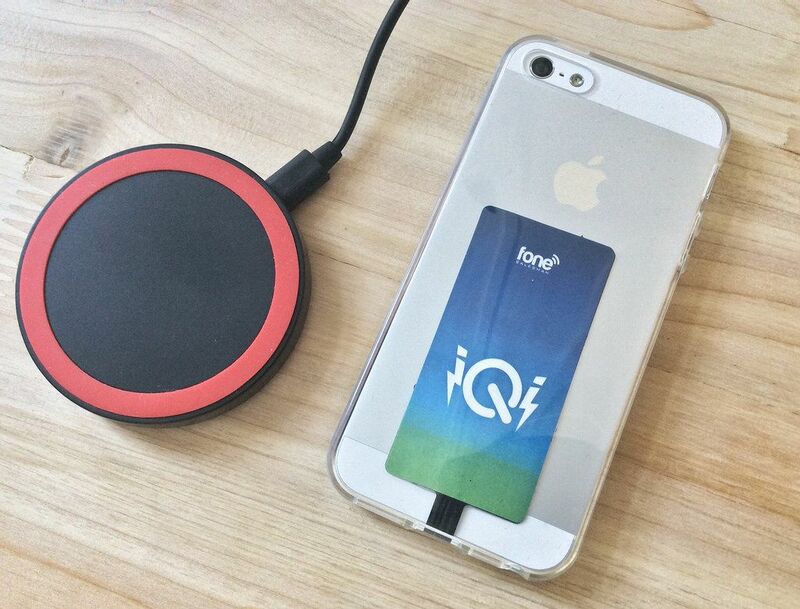 Qi was developed by Wireless Power Consortium (WPC) and is supported by over 200 million devices. It is the leading and most used wireless charging standard. PowerMat is another popular standard developed by Power Matter’s Alliance (PMA). 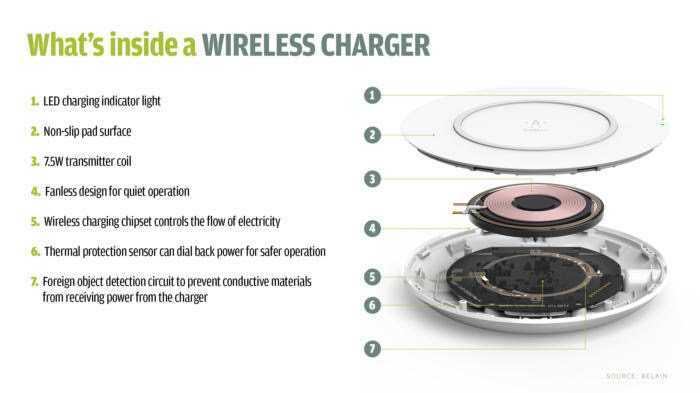 Rezence is another interface wireless charging standard developed by Alliance for Wireless Power (A4WP). In 2015, A4WP and PMA merged into the AirFuel Alliance in 2015. Each standard above charge devices wirelessly in almost the same manner. The differentiating features are transmission frequencies and connection protocols. That being said, devices are usually compatible with one standard only but there are devices compatible with multiple standards. In the smartphone and wearable ecosystem, wireless charging is fast becoming a standard for identifying devices with the best features, particularly when looking to purchase one. Likewise, charging pads are becoming common in public places like coffee shops, restaurants, airports etc. However, while many smartphone users are very satisfied with their wired chargers, wireless charging definitely holds bright prospect. In fact, with the rate at which many OEMs are including wireless charging support to their flagship devices out-of-the-box, it’s only a matter of years before the technology is fully embraced by all.